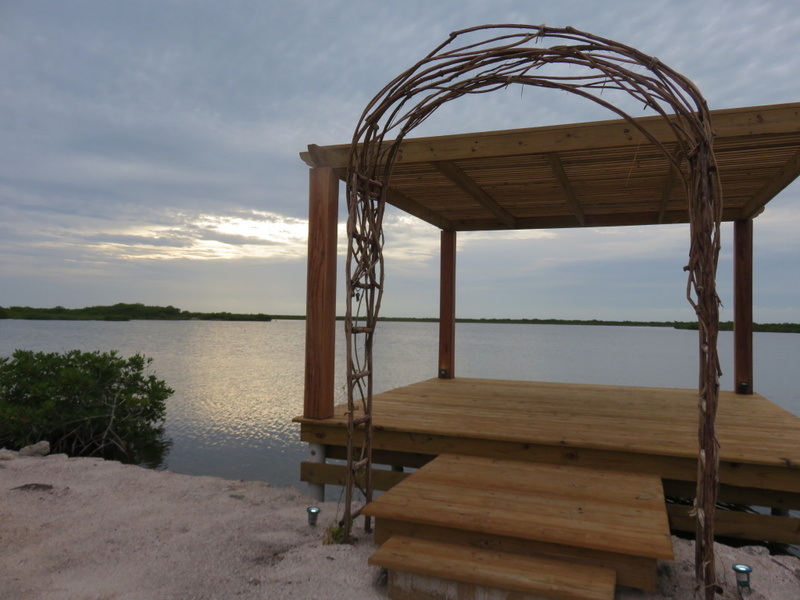 New spots are popping up around Ambergris Caye. Not just change of ownership at an existing place but brand new restaurants. Yesterday I ate at two — snacks, let’s say…but more like two dinners. Please…try not to judge. I’m excited about both. Both present some new ideas…and a new look to the island. I’ll start with my first stop – Stella’s Smile. I was reminded of it right across the street from my home when I saw this new sign going up at Robin’s Kitchen. Another, and even more alluring reminder, was posted up north. 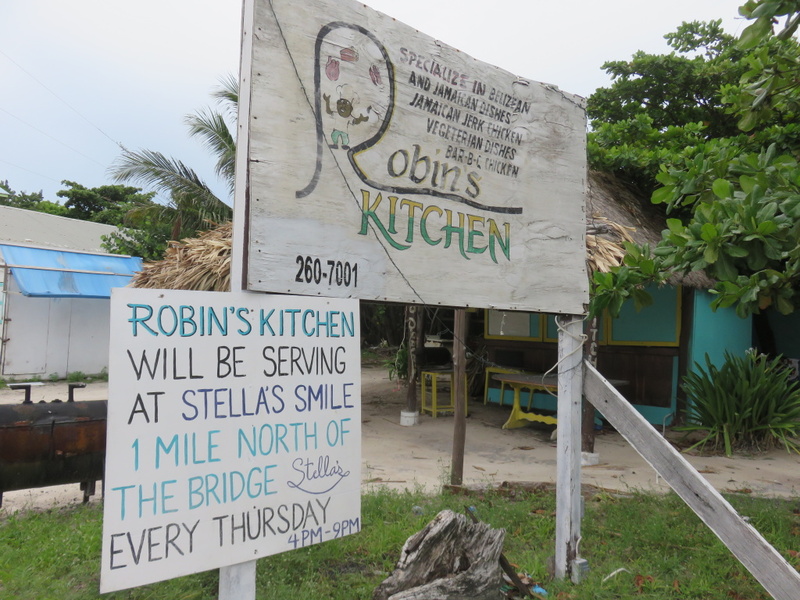 About 1 mile over the bridge on the paved road in front of a newly built house…and the palapa and dock behind it that make Stella’s Smile. NEW ENGLAND LOBSTER ROLLS! Everyone in the NE of the United States has a way they like there…and discussions abound regarding WHAT makes a real lobster roll. Is it warm? Is it cold? Is the bun buttered and toasted? Just mayo and celery? More? Good thing we are in Belize…things can get heated. But no matter the method, I can not say no to a Lobster Roll. And though we were there early (around 5:15pm) and in September, the place filled up nicely. 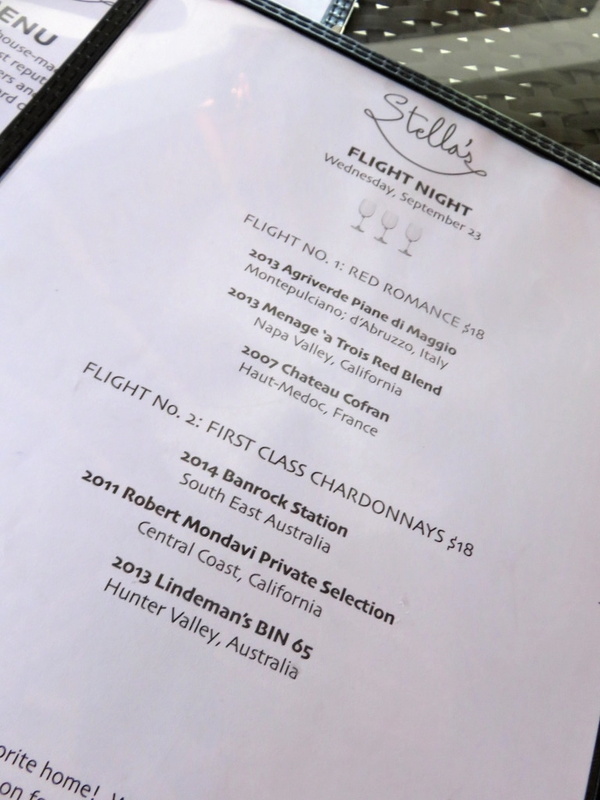 $10bzd for a glass and $18bzd for a “flight”. THAT is a deal in this country. 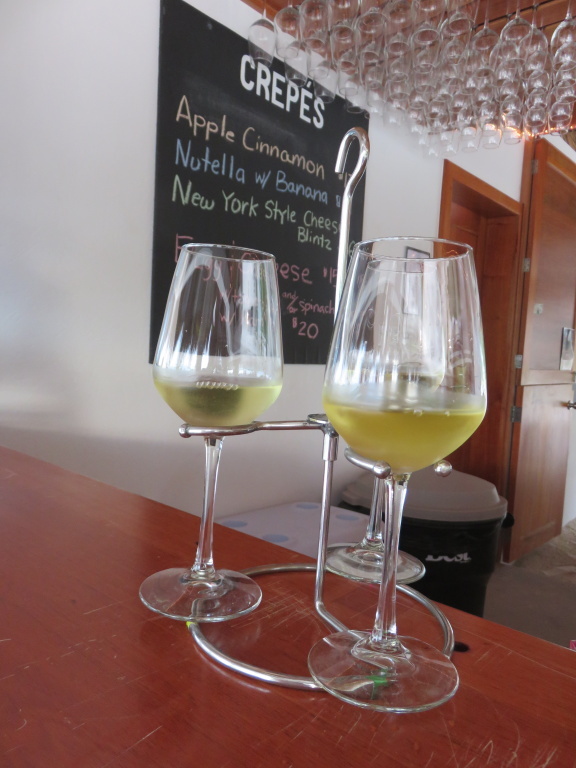 Here is a quick pic of just a small portion of the wines and the menu. They are featuring different restaurants on different days of the week. 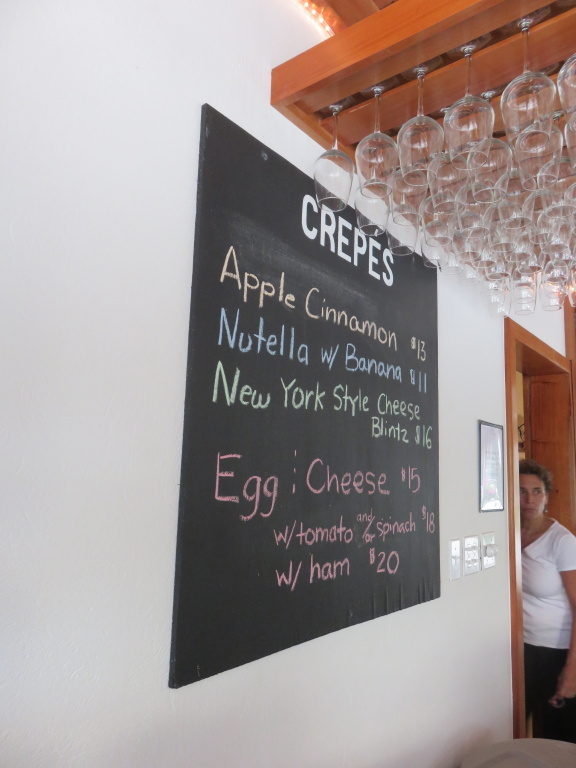 And the buzz has been LOUD about Sunday morning crepes and bottomless mimosas. And the view of Jay and his wife’s home – they are the owners. Relatively new transplants from Baltimore. BUT DON’T SCOFF New Englanders! She grew up on Martha’s Vineyard. And though an overcast afternoon, the back deck is gorgeous…and will make for some beautiful sunsets and parties. Okay…enough about that. Here is my lobster roll. 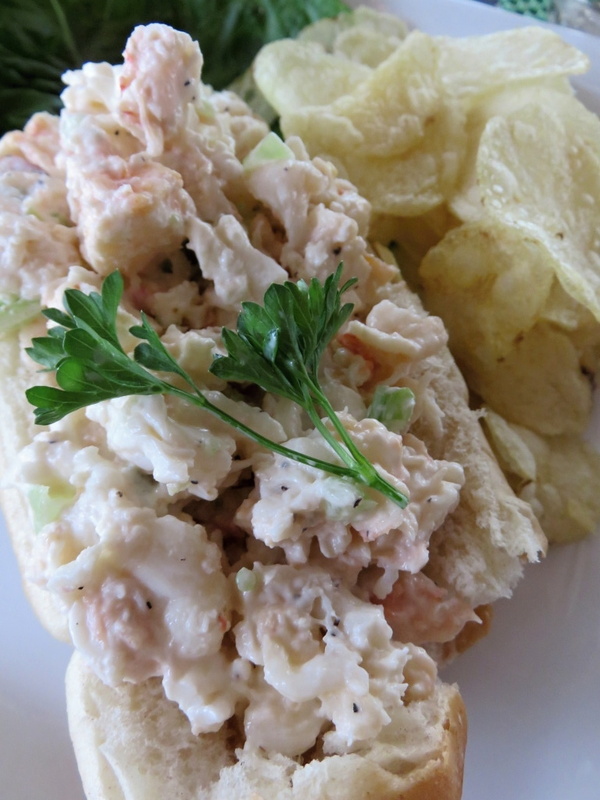 PACKED with delicious lobster meat, light coating of mayo and some finely diced celery. Even a bag of Lay’s potato chips for the crunch. Delicious. Stella’s is a great spot. 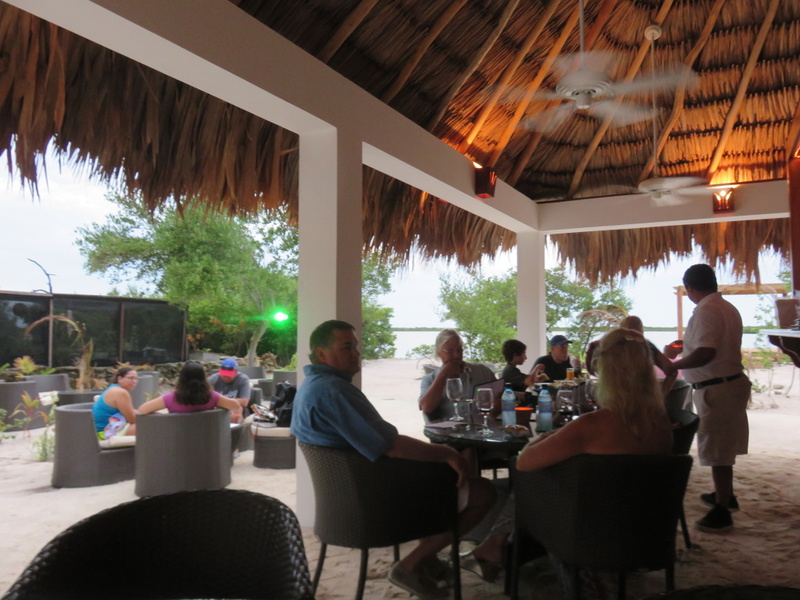 A huge selection of wine and food from favorite spots from all over town…from Robin’s ridiculously good jerk chicken to Sand Bar’s pizzas. 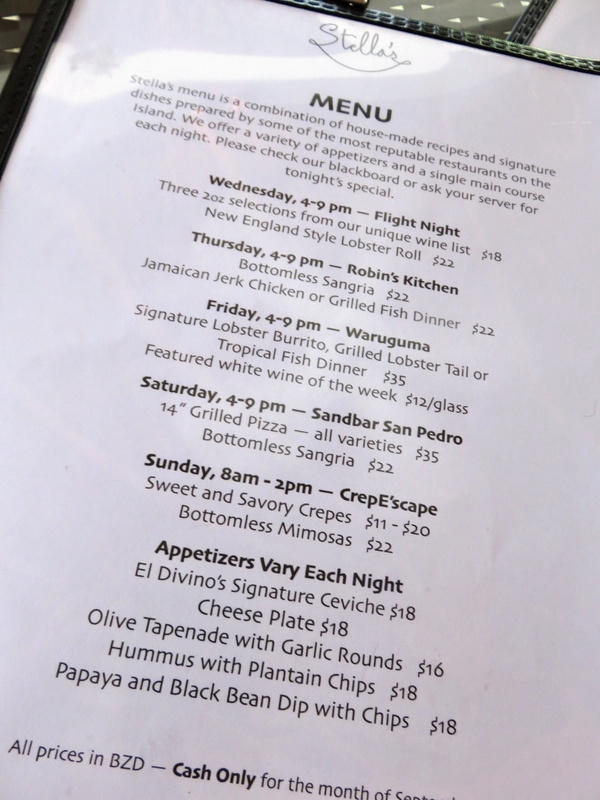 Nook Restaurant & Cocktail Bartique on the beach in downtown San Pedro and their soft opening…The Grand Opening is TONIGHT! I meant to tell you all about it but honestly…if I have to even look at this computer for one more minute, I am going to bash it with a hammer. 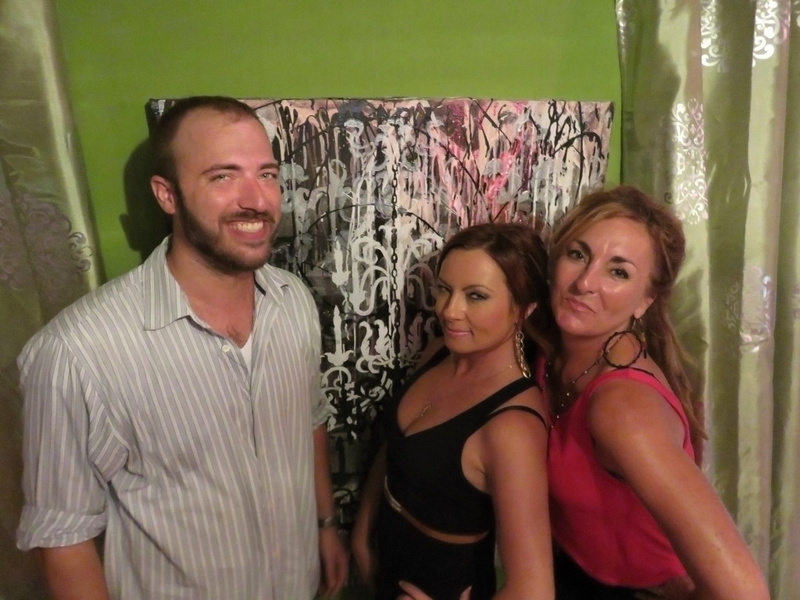 Here are Jeff, Erin and Cindy of Nook – go check them out tonight! And once I step off the ledge, I will tell you all about this swanky new spot in San Pedro. 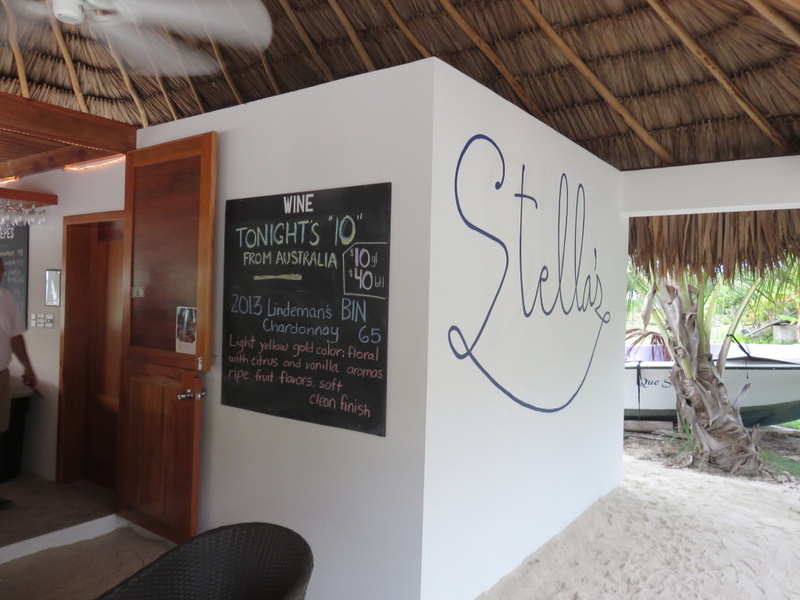 For more information on Stella’s, follow them on Facebook and/or their website. Oh I feel your pain with it comes to computers and not working! well….me and my neighbours pain continues…. just what my ”residential” neighbourhood needs…. another buisness.! thanks ,town board for, again..allowing my neighbourhood to be destroyed with yet another buisness.!!! guess which party/ies i will never vote for are..! As far as I know there are no zoning laws around here…so what was residential can be anything. SPmQQse,I will give you this…you can find the negative in ANYTHING! 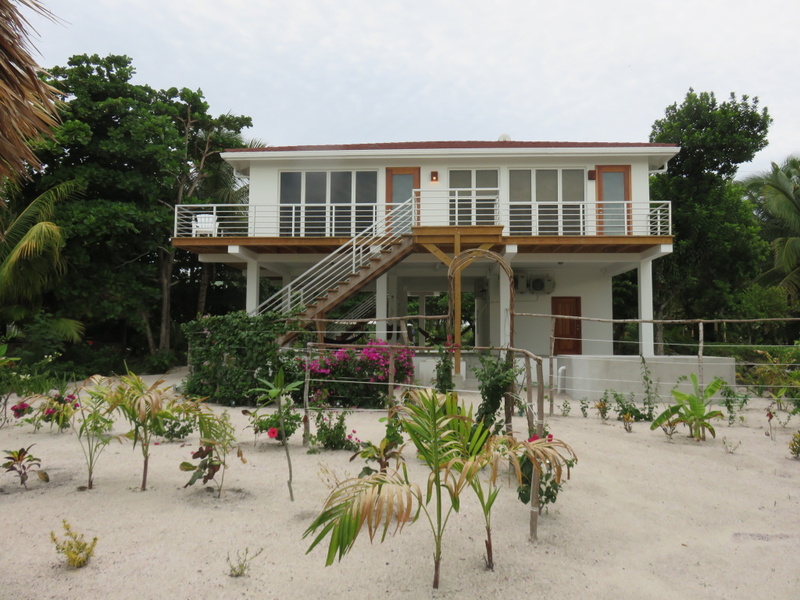 in 1990, according to the town board of that era, it was well understood that tres cocos was strictly a single family dwelling sub-devision.that was , at the time, one of the factors that directed my decision to purchase a place to build a home in a peacefull setting. i also find and promote the possitive aspects of many things/topics….but…. if there is a negative to be found….as with the positive . i will find it. OMG…I feel like hopping an ADO bus and heading down to Stella’s Smile RIGHT THIS INSTANT! 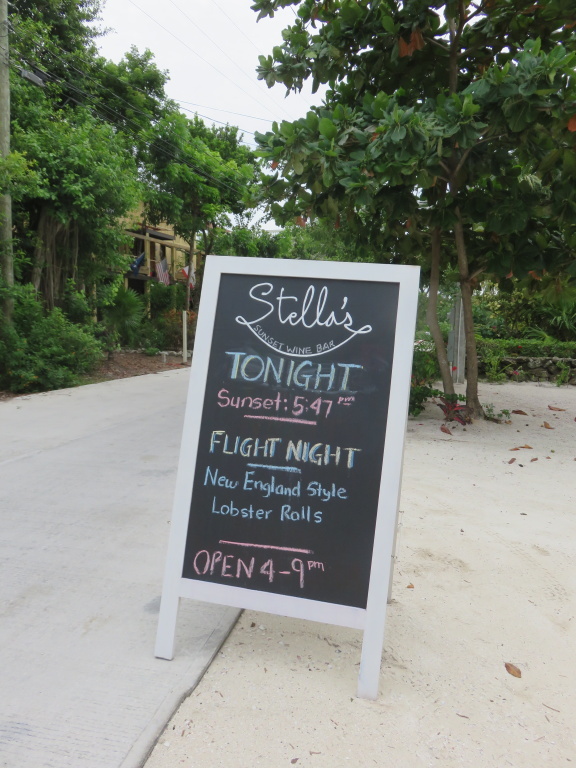 You had me at lobster rolls!